I absolutely love white noise and how much it helps me relax and sleep. I love fans, too, as they’re an energy-efficient way to keep you cool. Unfortunately you can’t take large fans with you. The solution is finding a great travel fan. Below you’ll find 5 of the best travel fans for white noise on the market along with short reviews and pros & cons lists for each. There are also some helpful things to know and consider before spending money or picking a fan. I’d love to help you get the best fan for your needs so read on to learn more. If you’re in a hurry, you can skip ahead to see my Editor's Choice recommended fan over at Amazon. 1. How does white noise from a fan help? How does white noise from a fan help? 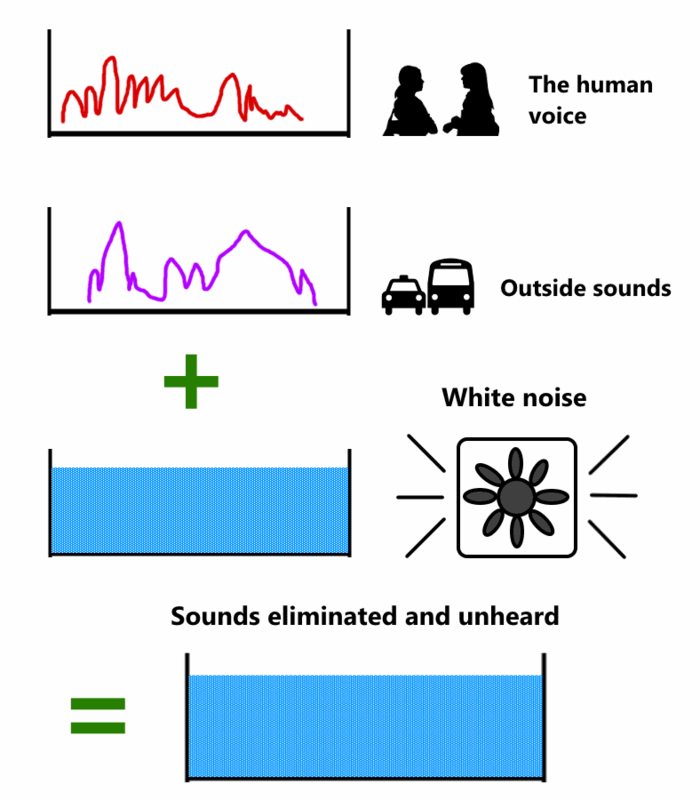 White noise is the term used to describe a sound production that’s made up of all frequencies in the audio band (the range you can hear) at equal levels. “White” is used to describe this particular type while others such as brown and pink exist and describe similar noise but with different acoustical levels in certain frequency ranges. White noise helps by “masking” bothersome noise and creating a more relaxed and distraction-free environment for. Sounds you otherwise would hear are “covered” (masked) by the sound your fan generates, resulting in it effectively eliminating it. As long as the outside sound is of an equal or lesser volume than the white noise it can be blocked. Fans can improve your quality of life using the principle of sound masking. This means that the noise it generates simple “covers”, or masks, the sounds that cause you problems and make sleeping or concentrating more difficult. In reality, the fan isn’t actually removing outside sounds but for all practical purposes to our brains it seems like it is. This is because when many sounds are combined together well (especially with noise!) our brains can no longer “hear” the distractions. The result is that as long as the bothersome outside sounds aren’t able to exceed the white noise level we no longer hear them. It’s a well-known fact that infants and children are able to sleep more readily with gentle sound. For example, dishwashers, washing machines, and other sources have a pretty steady and rhythmic “pattern” that affects our brains in a pleasant way. The psycho-acoustical effect of a soothing noise causes a pleasing and focused state in both many people’s minds and bodies. The result is better sleep as well as better concentration. It’s especially helpful to have a fan when you travel for many adults or children sleeping in a new environment can be tough. You’re not accustomed to your surroundings and haven’t had time to adapt. New environments mean new nuances and small sounds you’re no used to which can hurt your quality of sleep. I speak from personal experience! “White noise”, the soothing sound produced by many fans, is produced by a number of things that happen when a fan is running. It’s generally caused by the air turbulence created by the blades but often contains the sound of the fan motor, too. When a fan run runs, air is drawn from the rear and forced out the front which causes noise the noise. Fans (especially traditional ones like box fans) are an easy-to-use and economical source of noise to cover sounds, reduce stress after a hard day, and promote better sleep. The funny thing is that fans aren’t intentionally designed to make noise! It’s a wonderful side effect of how they work. These factors combine to produce the cumulative effect as a “white noise” our ears and then brain receive. The result is the rhythmic, calming, and most of all helpful sound. As I described, this white noise is used to “mask, or cover, and effectively eliminate bothersome sounds as far as our brains are concerned. 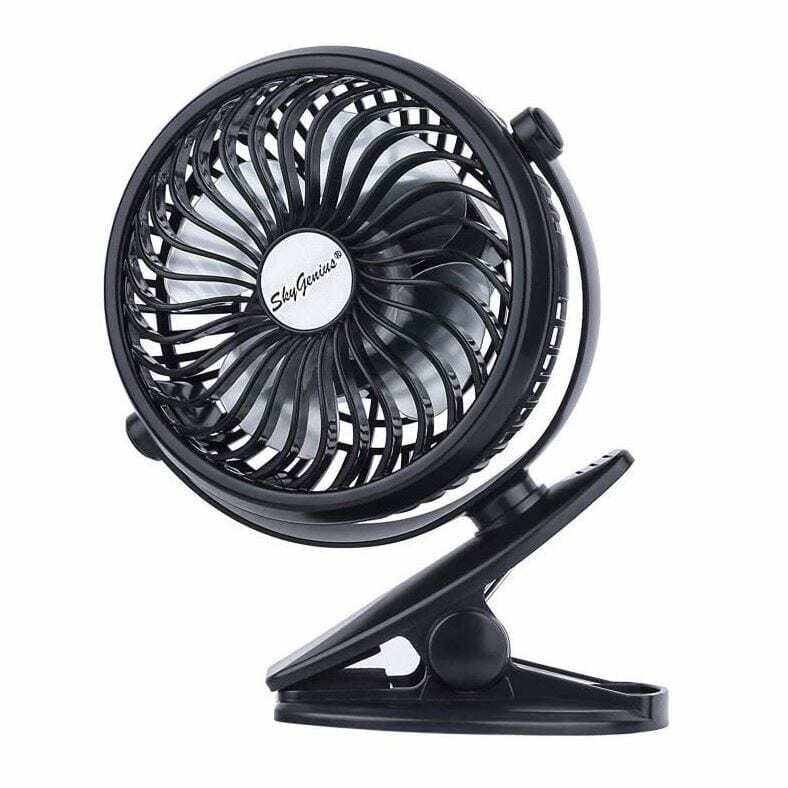 Because of how fan work, they often have a tendency to vibrate on a very small scale which also contributes to a gentle undertone you’ll enjoy. Both alternating current (AC) and direct current (DC, like from USB power or batteries) have sound characteristics you’ll hear without realizing it. There are many features to look for and consider before purchasing a fan that typically don’t apply for standard home fans. Power sources: Will an electrical outlet or USB power be available? Do you need cordless (battery) power? 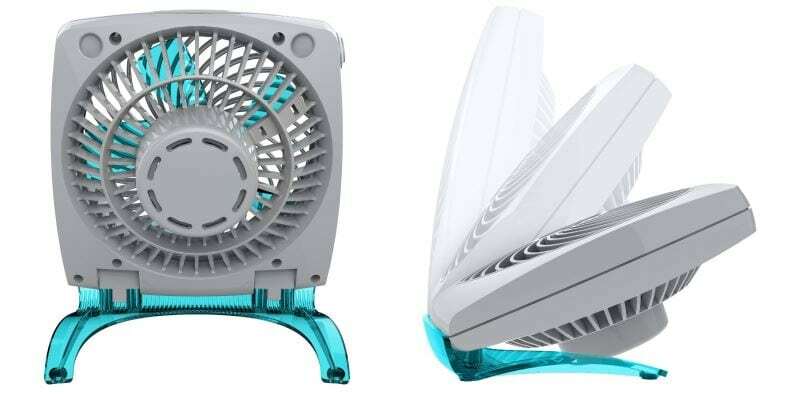 Fan speeds: Will a simple single-speed fan be ok or are more important to you? Folding/compact size: Is a slightly large fan ok or is space really tight? Be sure to give these a thought when shopping. However, you can’t go wrong with the products I’ve researched, tested, and that I recommend below. When travelling abroad it’s critical to be prepared for other power voltages and non-USA electrical outlets. 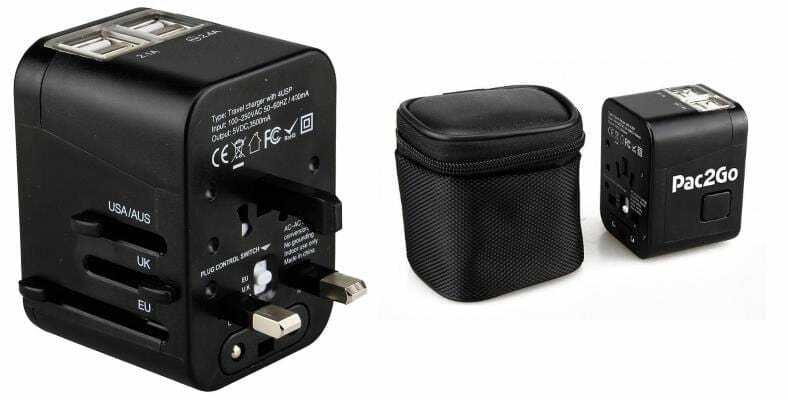 A universal travel adapter set is something I’ve relied on many times. The Pac2Go with outlet adapters and USB charger ports is a great example of one I recommend. Using a fan without a an adapter could destroy it or even cause a fire! This particular model in an amazing 192 countries! I’ve traveled overseas quite a few times. Without a doubt, one of the best investments I’ve ever made was a universal travel adapter set with outlet adapters and a voltage converter. Many countries have electrical outlets with different connector jacks that won’t work with American power plugs. Additionally, some countries I’ve been to have 220V (not 120V) power which can destroy your fan, a phone charger, or many electrical devices. They could potentially even cause a fire! Be ready to power a fan an other small electrical devices. Do a little research before you go to be sure you can power your small electronics to avoid a tremendous amount of inconvenience. I’ve learned the hard way that in many areas of the world it’s very difficult to find special power adapters for some of the devices you bring from back home. Excellent for white noise anywhere you want! The wonderful Vornado Fit Personal Air Circulator is nice take on the traditional small fan. If you’re unfamiliar with the company, Vornado manufacturers some of the best air comfort products on the market. It’s a well-made fan that takes up very little desk or table space as well. Two color options are available: Aqua or pink. 2 speeds are available for your comfort and white noise needs: low and fast. While it’s a quiet fan, it still provides a pleasing white noise sound you can use next to when you’re traveling. It’s just a matter of selecting low, off, or high from the sturdy rocker switch on the side. 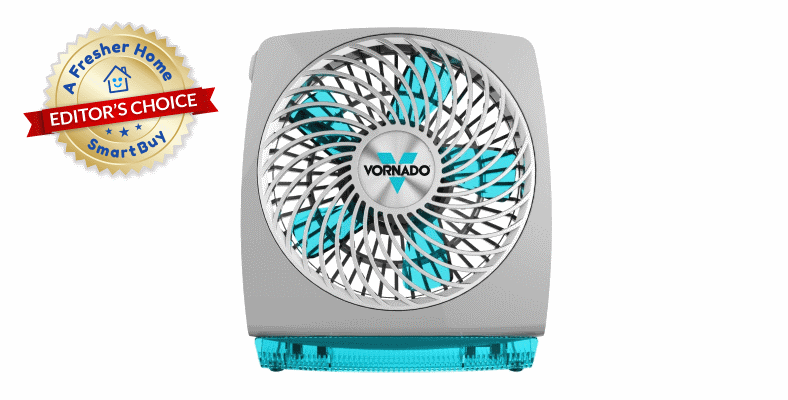 The Vornado Fit is a great little fan that’s well made and perfect for putting in luggage. The base folds underneath when not in use for compact storage. And speaking of travel, what would a small be without portability? The Fit folds up easily and is great in luggage. The design makes it easier to pack it in luggage when you’re ready to go. It’s powered by standard 110 AC power, so unfortunately there’s no battery option. However, one reason for this is because it’s more powerful than lesser fans and provides much greater airflow. Measuring a small 8.3 x 7.5 x 5.2 inches in size, it’s definitely a travel fan that’s great for hotel rooms, resorts, and just about anywhere you need nice white sound and an outlet is available. Vornado also offers a 3 year warranty which most others don’t. Vornado’s fans are some of the best you’ll find anywhere and the Fit is a great fan that’s well-made and dependable. If you want simplicity and reliability along with a pleasing white nose, it’s a top choice. Be sure to read why so many other people love it as well over at Amazon. 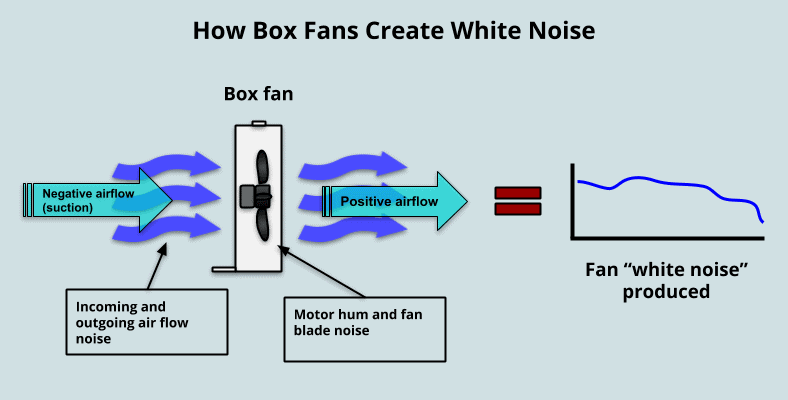 Love the soothing white noise of classic box fan? The O2Cool 10 inch folding travel fan is like having a miniature version you can take anywhere. As it can be powered by both an outlet or 6 “D” size batteries there’s nowhere you can’t use it! It features 2 selectable speeds: low and high, with a nice gentle but helpful white noise level on high. Measuring 12 x 3.5 x 12.4 inches in size, there’s a great 10″ fan providing compact but great cooling ability. 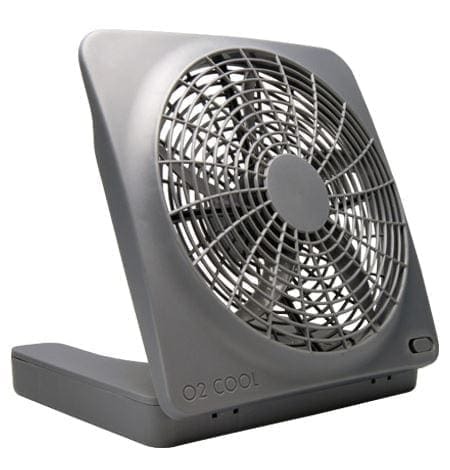 The O2Cool 10″ fan is one of the most compact and fold tightly away for great storage. Because of its design you can get a larger portable fan than many competitors yet still fit it in your travel bag. Thanks to the unique design the base serves as not just a stand but a battery holder, too. When folder for travel it’s very compact and easy to store. It’s also energy efficient and features a patented blade design to help extend battery life while keeping airflow maximized. There’s also a small carry handle feature at the top as well. An AC adapter is included. Want a great travel fan but don’t want being stuck with a tiny one like so many others are? It’s an excellent choice and I recommend it. Many people are glad they picked one up as well. Find out today why it's an excellent and one of the most affordably priced travel fans at Amazon. 3. 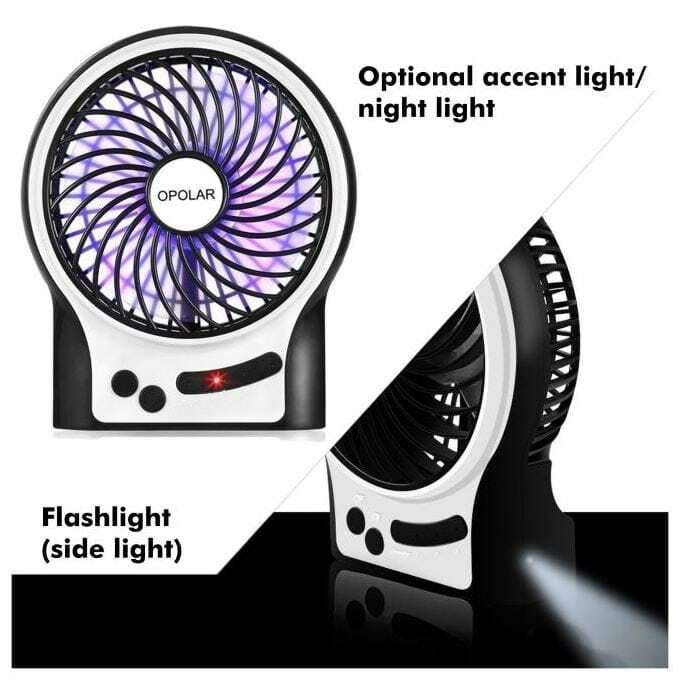 Opolar rechargeable portable fan – Feature packed and a wonderful all-around choice! Ready for one of the best travel fan values you can find? 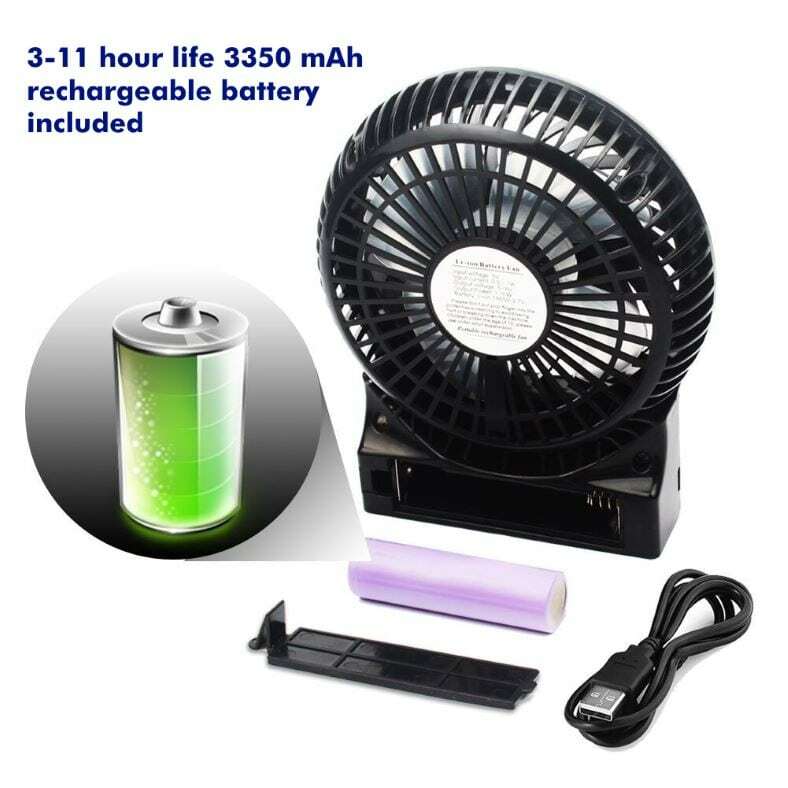 Then the Opolar rechargeable battery-powered fan may be exactly what you’re looking for. Measuring a tiny 5.9 by 4.9 inches, it’s ultra-compact and easy to fit into bags when it’s time to go. With the Opolar fan you’re ready for all sorts of environments even if outlet power isn’t available. 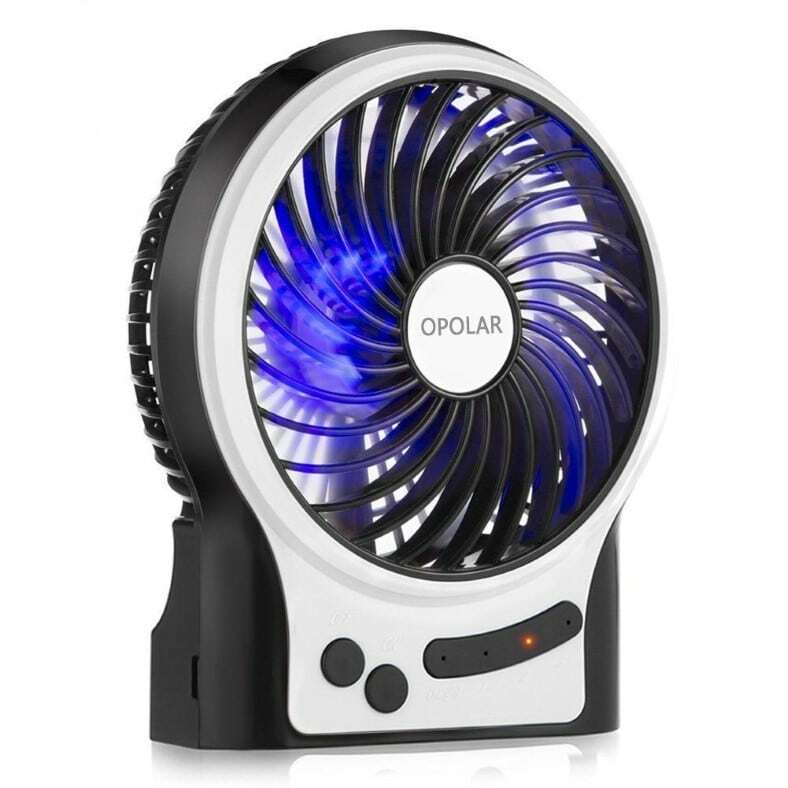 The Opolar fan includes a rechargeable battery unlike many competitors. USB power can be used as well both for charging or for powering the fan. It’s easy to use, too! Depending upon use, you’ll get several hours of comfortable cooling and soft white noise to get you through your rest. Expect about 3-11 hours of use depending on which of the fan speeds you choose (low, medium, or high). Even more, you also get an optional internal accent light/night light as well as a side light which works like a small flashlight. They’re cool features that are unexpected in this price range. 2 built-in lights are provided and I really like them. LED lights are provided for optional use for an accent light/night light as well as a mini flashlight on the side of the base. Electronic controls round out a great little fan. And most importantly, it produces steady and soothing ambient white noise you’ll enjoy. It’s also one of the best rated in its price range! I recommend it because it’s a great combination of cooling, features, and especially value. Check it out, it’s a great one! You’ll find fantastic buyer reviews and the best price over at Amazon. Sound impossible? It’s not. The SkyGenius battery powered clip-on mini fan is all of these things. It’s a fantastic choice for where other fans can’t go! The SkyGenius fan includes a rechargeable battery and USB cable for powering the fan or charging the battery. What’s especially great about this model is how you can adjust it for airflow perfectly where you need it. The swivel head is easy to use and works great. One of my biggest reasons for recommending this little winner is how great the design is. The fan cage can be rotated to any position you need for cooling or white noise use. There’s also an adjustable fan speed control on the rear. That’s a very unique – and rare – feature for a fan that’s priced so low. The SkyGenius works great both with its clip feature or standing on its base. Don’t forget you can power it directly from any USB port! But you’re not limited to using it only with the clip – the base is designed to work on any tabletop or desk just like any other small fan. It measures a mere 7.5 x 6 x 4 inches in size, so it’s an excellent choice for travel. For having white noise you can literally take anywhere, it’s a slam dunk. All-in-all, it’s one of the values in a travel fan for white noise anywhere. If you need the greatest in easy of use and portability, be sure to check it out. User reviews are just as great as the fan itself! Head over to see the amazing feedback this best-selling fan has earned at Amazon. 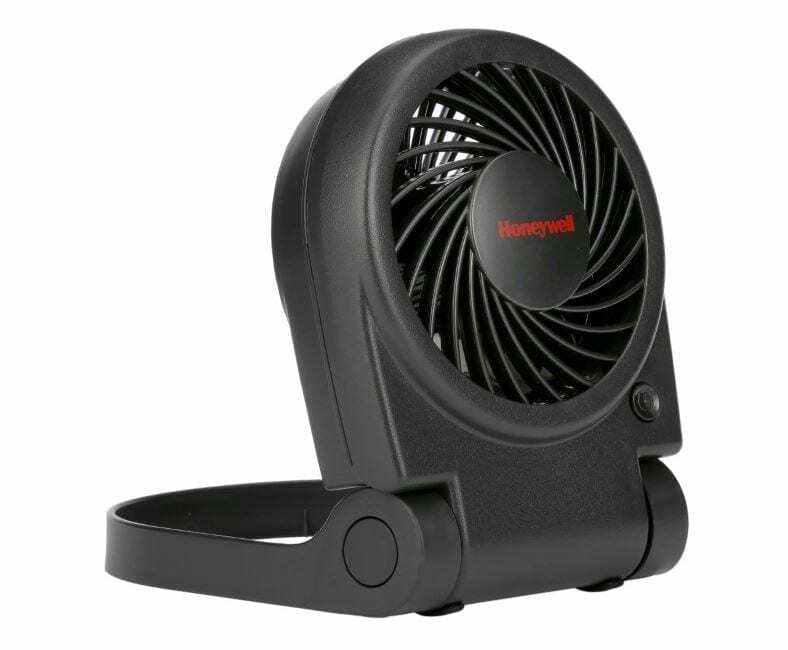 The Honeywell HTF090B Turbo folding fan is a special little model that got my attention. I’m already a big Honeywell fan as I’ve tested many of their air quality products. They’re some of the best I’ve owned and tested. This cool little Turbo model is no different. 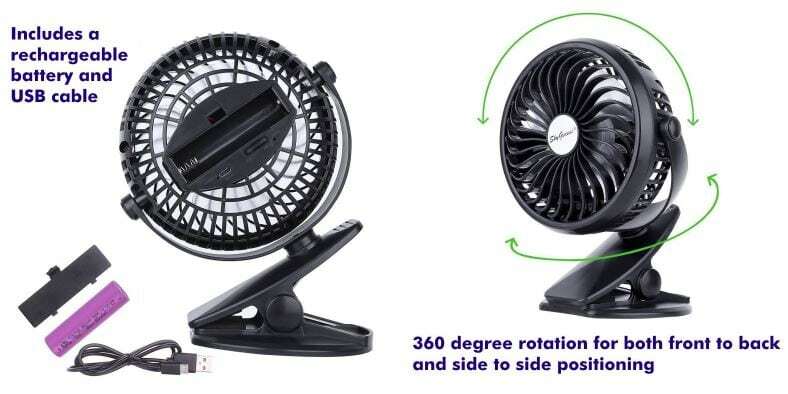 It’s a single-speed fan with simple operation that folds very neatly out of the way. At 4.7 x 2.28 x 6.4 inches, it’s really small but can cool efficiently and create great white noise you’ll like. The Turbo travel fan easily unfolds into the position you need after travel. A power jack on the rear allows powering it from USB power using the included cable. For battery power, 4 x AA batteries can be used (not included). Two great power options are available: USB power (using the included cable) or 4 AA batteries if you need cable-free power. Thanks to the DC motor design it helps reduce energy waste and can be power by the batteries more efficiently for extended battery length. Not only that, but the base it folds into can also double as a carrying handle for your convenience. Undoubtedly, the Turbo on the Go fan is one of the most compact and easy-to-use travel fans you’ll find. If you’re on a budget but want a well-made mini fan for traveling and still enjoying white noise, it’s an excellent choice. Don’t just take my word for it – see the amazing buyer reviews and affordable price I found at Amazon. I awarded the Vornado Fit my Editor’s Choice distinction. For those who need a solid performer for white noise you can take with you, it’s a great choice. It was a tough call, but I’m happy to recommend the Vornado Fit folding portable fan for anyone with access to a standard outlet. You’ll get lovely white noise to help you relax or sleep with the added benefit of great build quality ease of use. 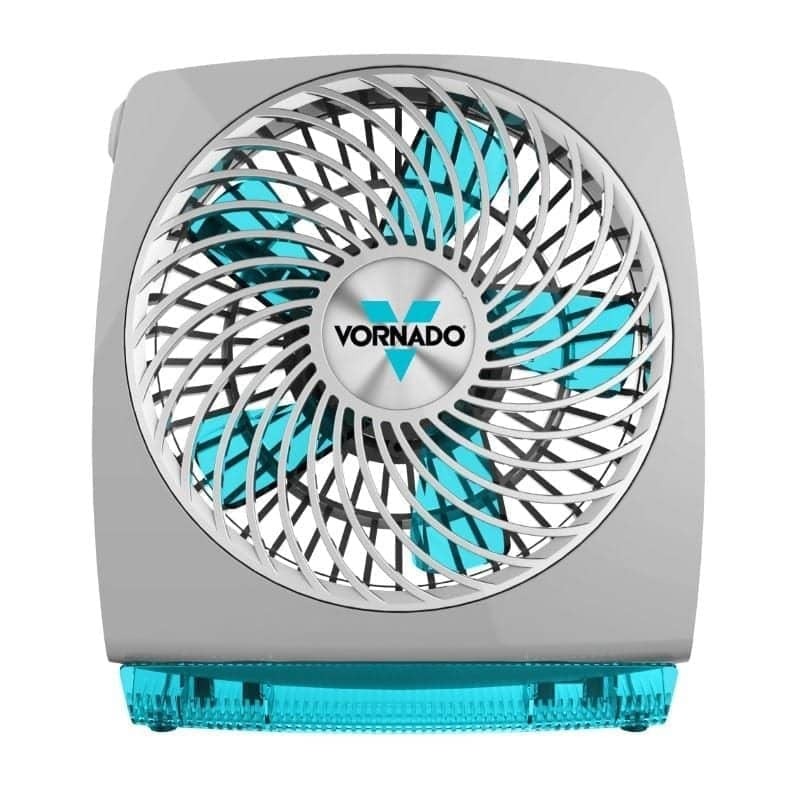 Vornado’s design means it’s one of the best in its class for cooling as well. Be sure to find out why it's so popular and is one of the highest-rated fans today. Have you considered a white noise machine? 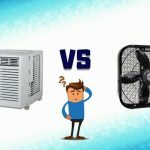 What if a fan isn’t really the best choice for you? Great news – you’re not limited to using a fan for gentle white noise. White noise machines have lots of options and are highly portable, as well! Check out my helpful post with several excellent choices for white noise machines. You learn new things every day. 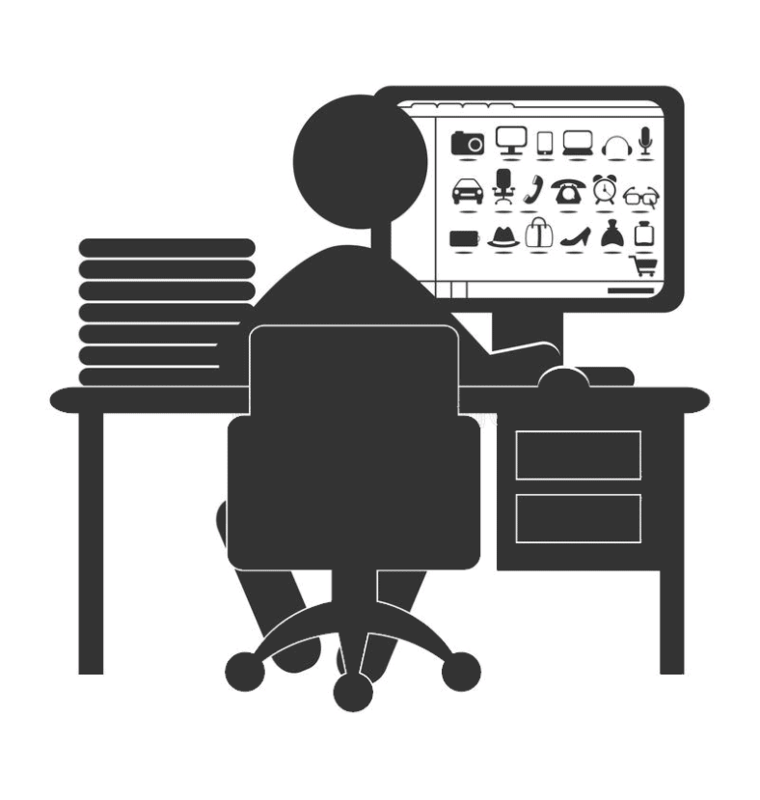 The graphical presentations that you showed in the article are great. I never understood why I couldn’t help sleeping with a fan but this has shown it clearly. I have bought Vornado fan and it goes everywhere I’m going! Thanks for sharing this article Grant I learned a lot. Hi Christina. Thanks for stopping by!